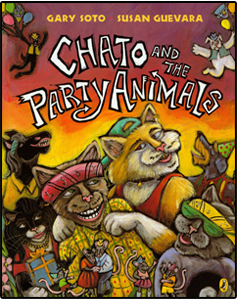 Chato, the coolest cat in the barrio, loves to party. So when he learns that Novio Boy has never had a birthday party, Chato decides to throw him a surprise pachanga. He gets right to work-inviting everyone in the neighborhood, cooking up a feast, arranging for music and a piñata, and even ordering a special cake. 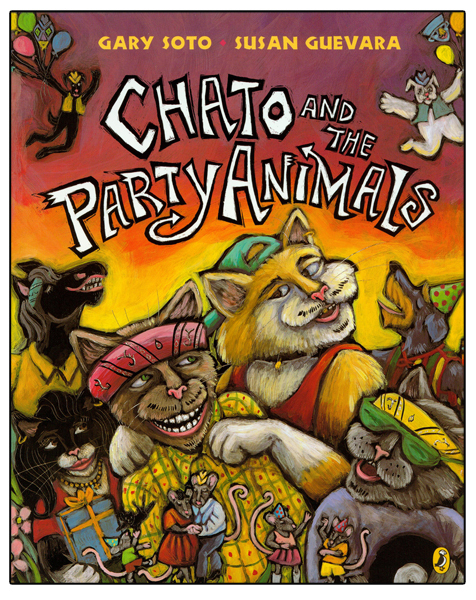 Chato’s sure that he’s thought of everything, but it come time for the party, he realizes that he forgot the most important thing of all - Novio Boy! Readalong CD & Paperback Book.